Sleep: Again, the issues are primarily with the boys, opposed to a pregnant mama. Ezra is having a really hard time staying down and we’re having a really hard time getting him down without him coming to bed. He literally giggled last night when I finally brought him to bed after 3 unsuccessful attempts to get him down. Diet/Cravings/Aversions: I’ve been thinking about nachos . . . a lot. Otherwise, nothing much else sounds good. Movement: I’m feeling hourly movement now. What I'm loving: Parks and Rec. Not the answer you were expecting? Seriously. Symptoms: Third tri has definitely made it’s presence known and new to the game is pain and achiness. I’ve dealt with a pain in my pelvis ever since giving birth to Isaac. The best way to describe it is a bone bruise. Imagine someone taking a hammer to your pelvis and the residual pain, not the actual blow itself. It isn’t as painful during the day, but with great regularity, I find myself waking up to this pain around 1:30am and it continues throughout the night. It usually disappears around 6 months post partum and is always linked to my activity level, as in the more active I am, the more intense the pain. Unfortunately, this is the first time I’ve had it prior to delivering . . . 11 weeks to go. What I'm looking forward to: Shooting both a pregnancy announcement and gender reveal session with two old friends this weekend. Best moment of the week: A fantastic lunch with AJ last Saturday! I do not remember the last time we’ve been able to see each other without our boys. AJ and I met on the knot almost 8 years ago while we were planning our weddings. I would have never dreamed the comfort and strength of our friendship and how similar our lives would play out! After lunch, I came home for awhile and then decided to take advantage of Tony being home and head out to the quilt shop. 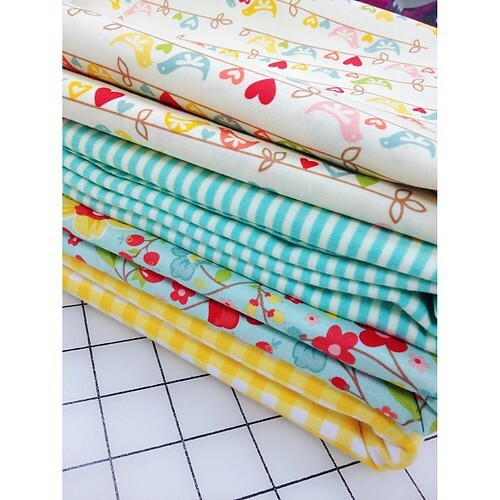 I’d been scouring the internet for days trying to come up with fabric selections for a few projects like I had when pregnant with Ezra, but I just couldn’t commit to my choices. I’m so glad I was able to get out the door, because within 5 minutes I’d already found way too many wonderful options! 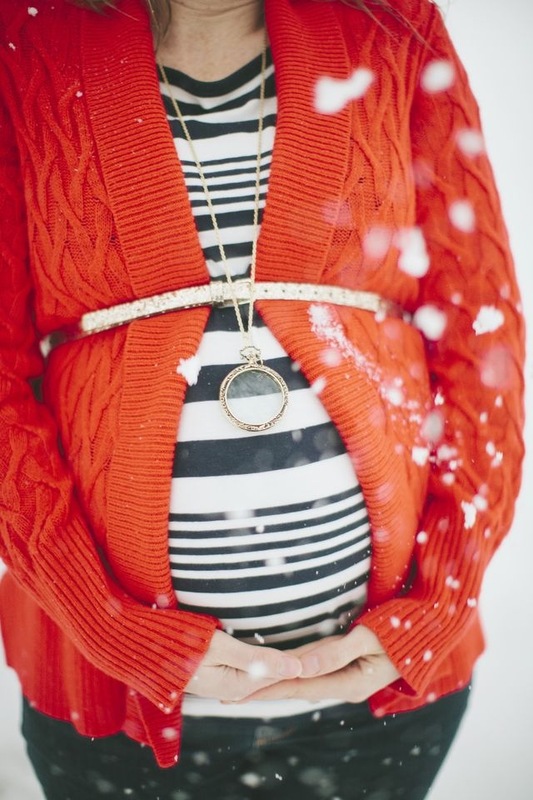 Additionally, after planning to do a quick maternity session on Saturday, deciding to postpone said maternity session and then spontaneously deciding to utilize the beautiful snow on Sunday. I was able to show up at Gina’s house with snow drenched hair, minimal makeup and asked her to clothe me, freshen me up [seriously, she backcombed my hair for me] and then we frolicked in the snow for a bit. *Additionally, I'm not trying to say that I'm opposed to a necessary c/s. It's just again this fear that was allowed to take hold, that is shaking my confidence based on hearing my MW will be out. Sorry to hear about your midwife predicament. I understand your anxiety 100% - my midwife, who I loved, left the practice when I was 14 weeks pregnant. The other midwife is great, but she now has to rotate call with their 3 OBs, 2 of whom I've not even met yet (and I'm 35 weeks). Praying for you! Having a midwife isn't a guarantee you won't have a c-section... and having an OB is no guarantee that you will. In the last hours of my (2.5-day, induced, not-what-I'd-hoped-for) labor, it was the OB who gave me a little more time when the midwife was resigned to sending me in to surgery! You just never know. Also: your body has done this successfully twice, and that's worth a lot. Sarah: I'm so sorry you're in a similar situation! Schmei: I'll try to clarify further in my blog post. I definitely know a MW doesn't safeguard me from a c/s and just as true having an OB wouldn't guarantee one. It just has to do with the irrational fears and absolute lack of trust. This change and uncertainty is playing into my fear. Hi Leah, those photos are so beautiful! They will be an awesome reminder of this winter pregnancy. :o) Irrational fears are hard....no advice there. Keep praying and trying to find insight in the word which looks like what you are already doing! It's hard not to be able to have any control over when and who you'll deliver with. Since you have had two successful deliveries, I would think your odds of a c/s should be much less. You are so photogenic, so it's not surprising that you got these great pictures in such a short bit of time! Also, those fabrics are perfect. I love them and cannot wait to see what you make with them. The part about your midwife & Gina not matching up perfectly... it will work out. Something will happen and it will be fabulous. No matter what... just remember that you'll be meeting your daughter very soon! Anyway... take care and keep your head up! Love your maternity photos, sometimes last minute photoshoots without much planning are the best. I also love your quilt fabric. I went to our local fabic store Tuesday in the hopes of finding something cute/gender neutral to use for a quilt and couldn't find much I liked. I ended up with pinks (probably because I have 2 girls and that's what I like). If my baby is a boy (due May 2) it's doomed to live life in pink.